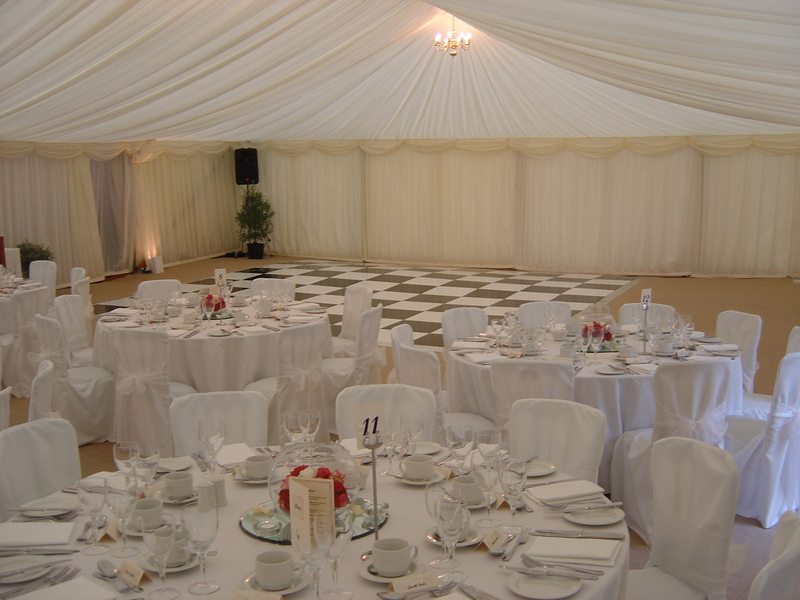 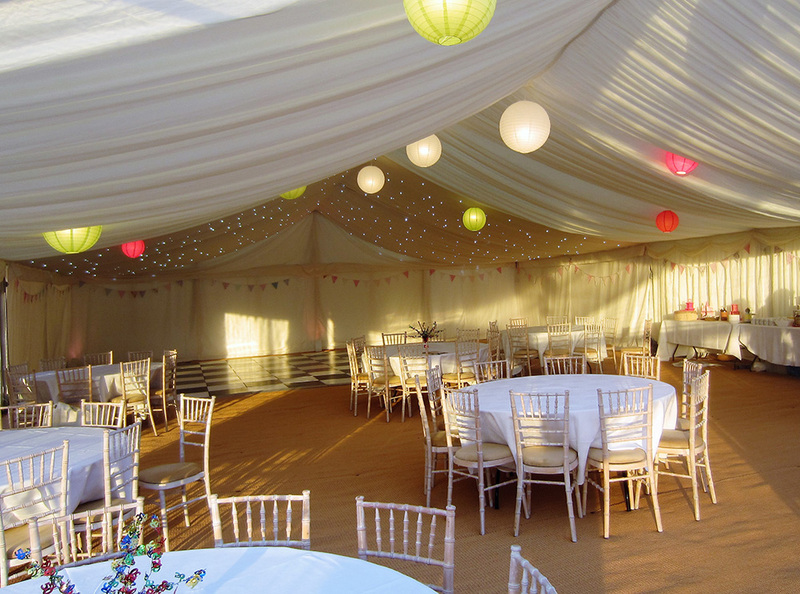 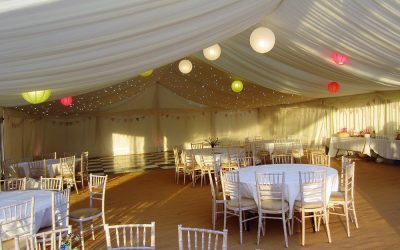 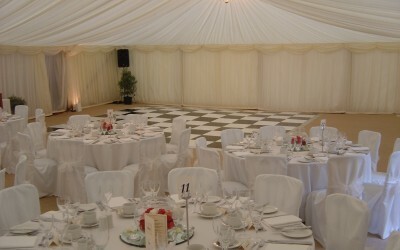 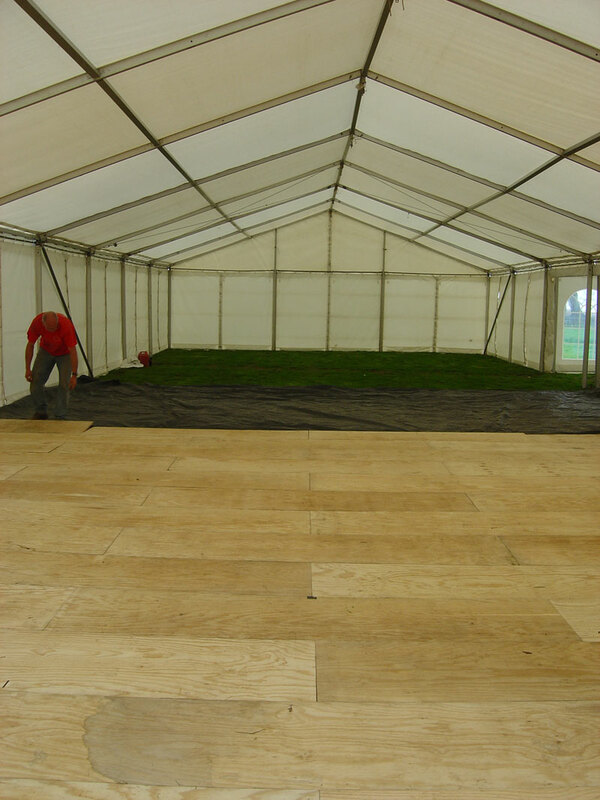 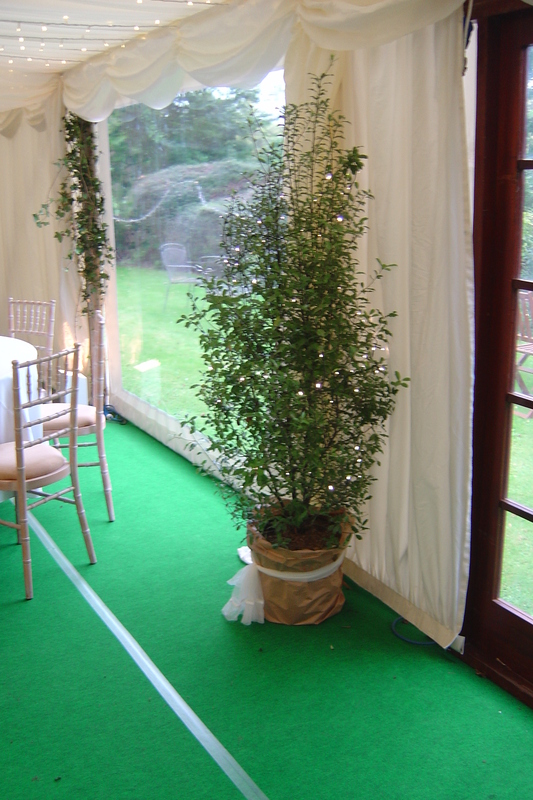 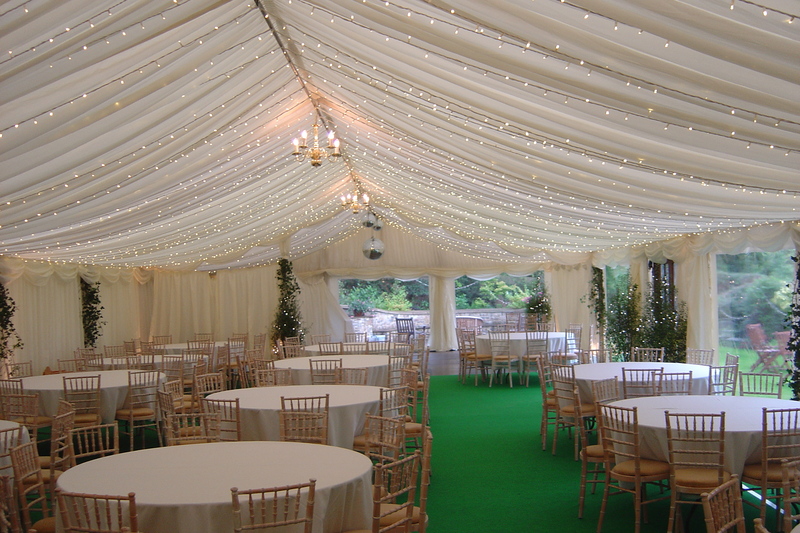 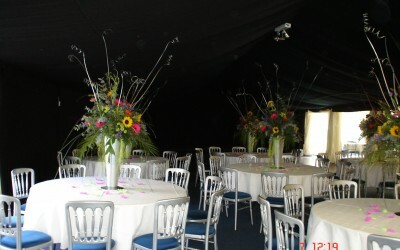 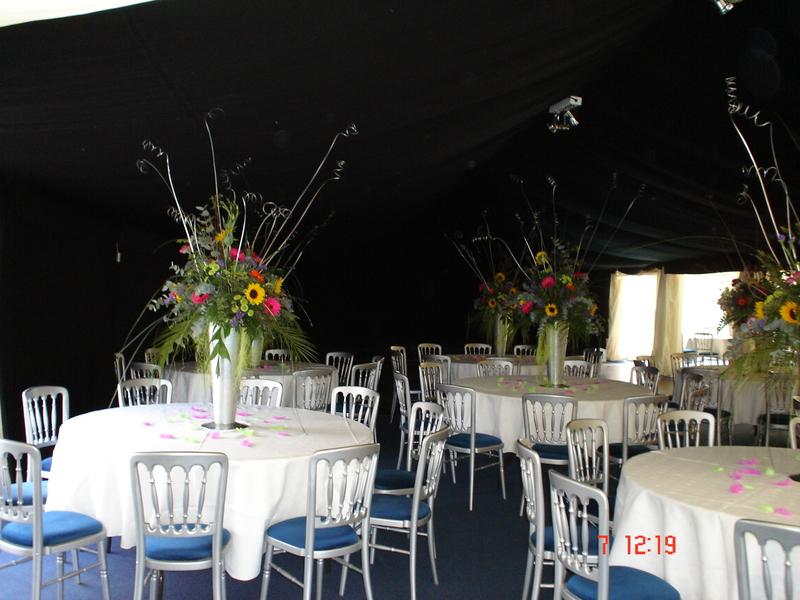 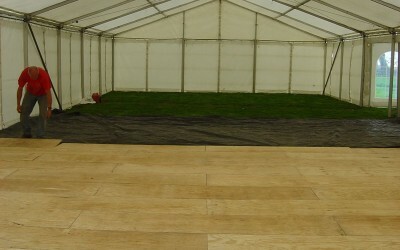 Linings are used to cover the inside of the marquee, practically all events except for the most basic have this. 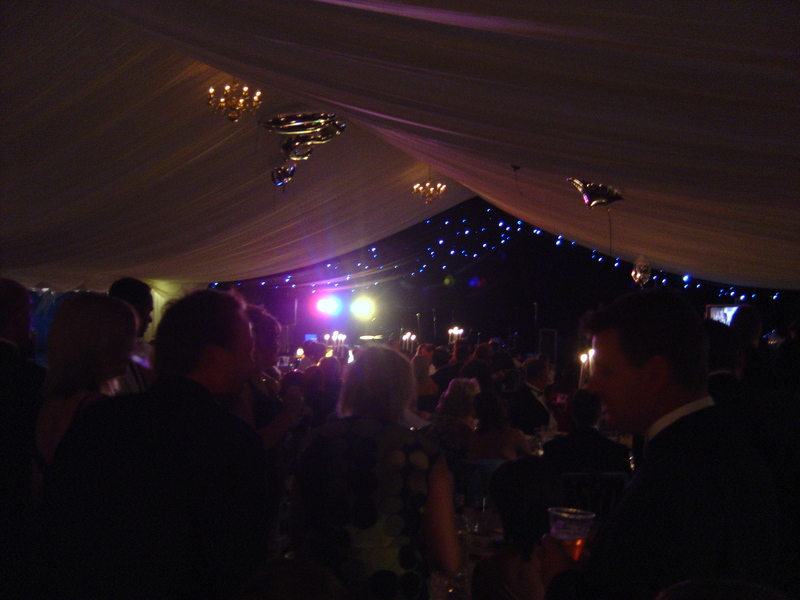 Starlight lining is made up of hundreds of fibre optic cables or leds which change colour above the dance floor, to look like the twinkling stars! 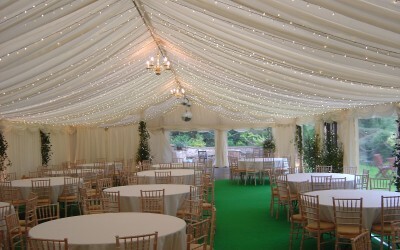 This is one of our favourite items, it has the wow factor. 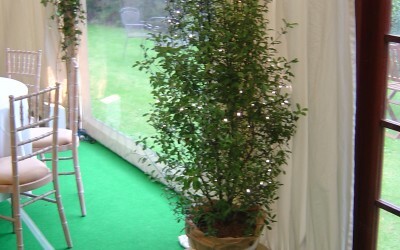 Pea lighting, can be either above (so it cannot be seen until it gets dark) or below the roof lining. 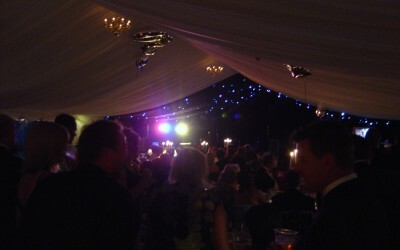 This picture has a glitter ball in as well.